After one and a half week waiting, the jewellery pieces finally arrive from Shapeways. I chose to get my jewellery printed on 2 different materials. One is Stainless Steel and the other one is Black Detail. I thought the Stainless Steel gonna cost me a great amount, but it’s just like about $7.50 each, and the one printed on Black Detail is just around $2.80 each. 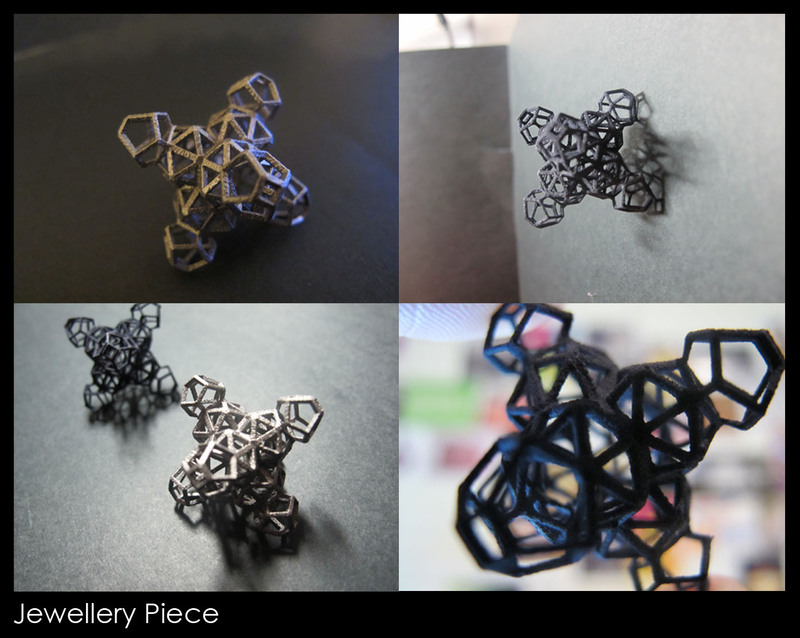 Photo shown is shots of my jewellery piece and some random shots. Photo shown is shots of my big folly piece with some photoshop work done and different lighting. P/S: This assignment is so cool! I gonna make more different stuff and get it printed from Shaways. Trying on rendering but it don’t really works. Looking forward to see the wave piece being cut.